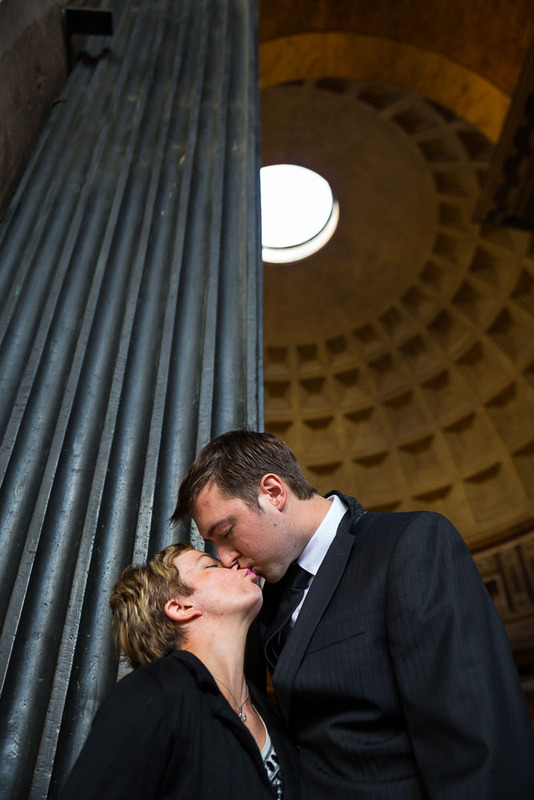 This was a such a romantic wedding proposal taking place at the ancient Pantheon in Rome. 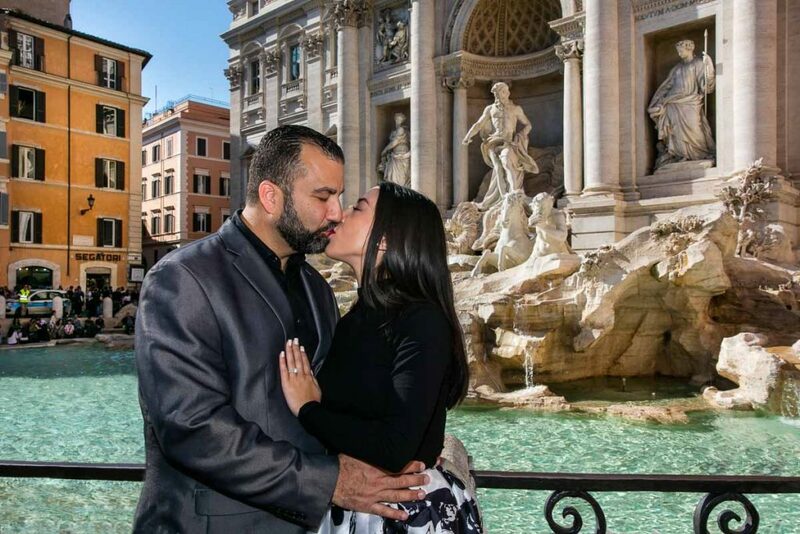 The square was very crowded but we were able to find a small spot by the central obelisk fountain with a nice view of the Pantheon in the background. 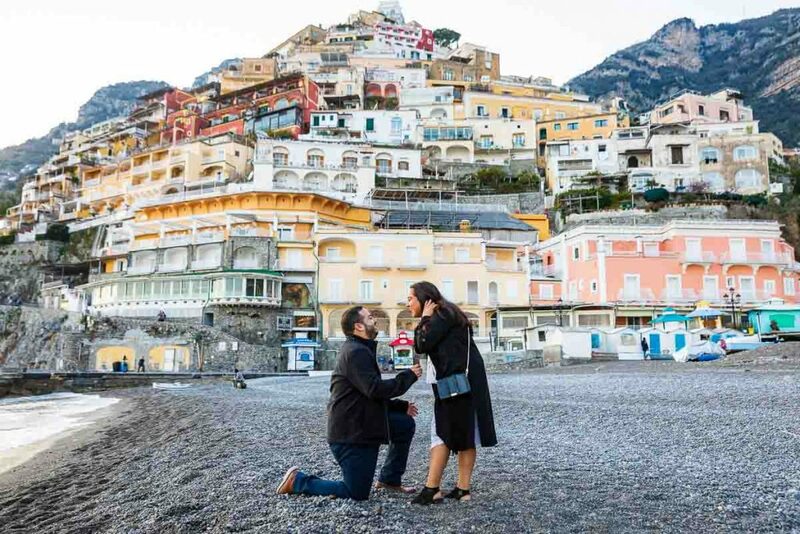 The surprise was great followed by a very joyful and romantic engagement session in around the area. 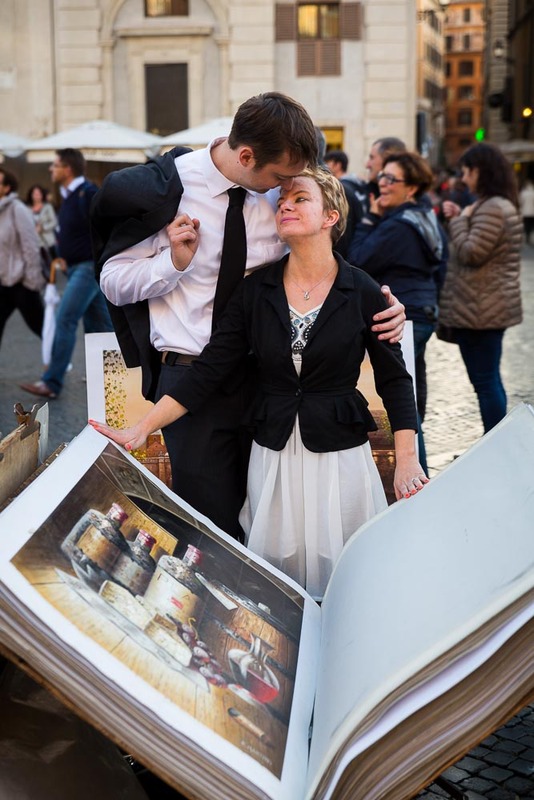 Starting from Piazza della Rotonda heading towards Piazza Navona with a few interesting pictures in between! 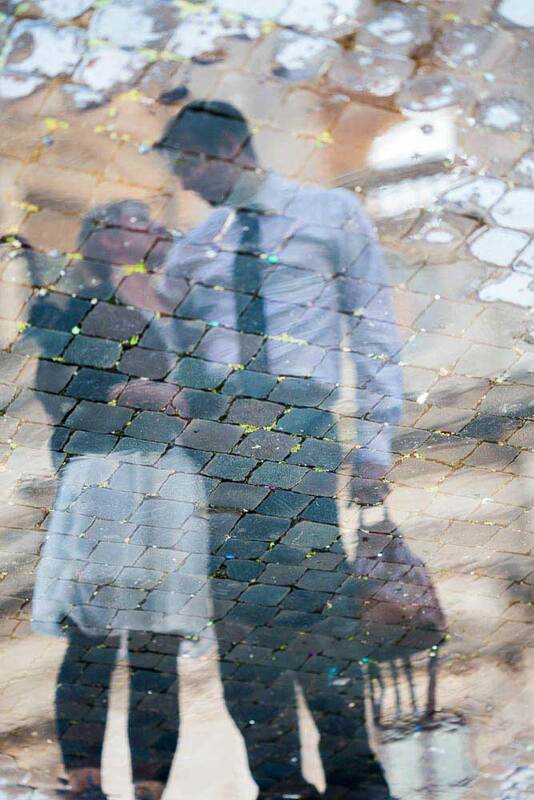 Love the picture of the water puddle reflection! 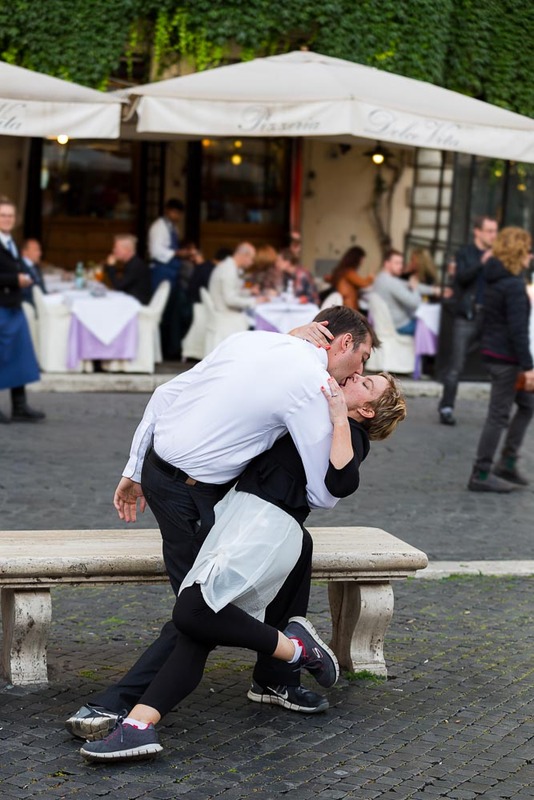 Once we reached Piazza Navona there were so many interesting things we could shoot. 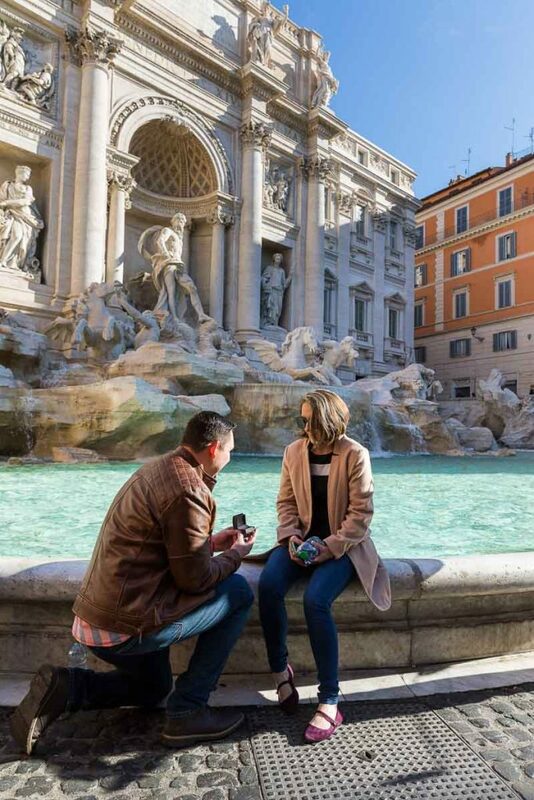 From three different water fountains to the street artists that normally crowd the area with colorful paintings and a true Italian atmosphere. The perfect setting to complete the photo session. Reflected in the water. 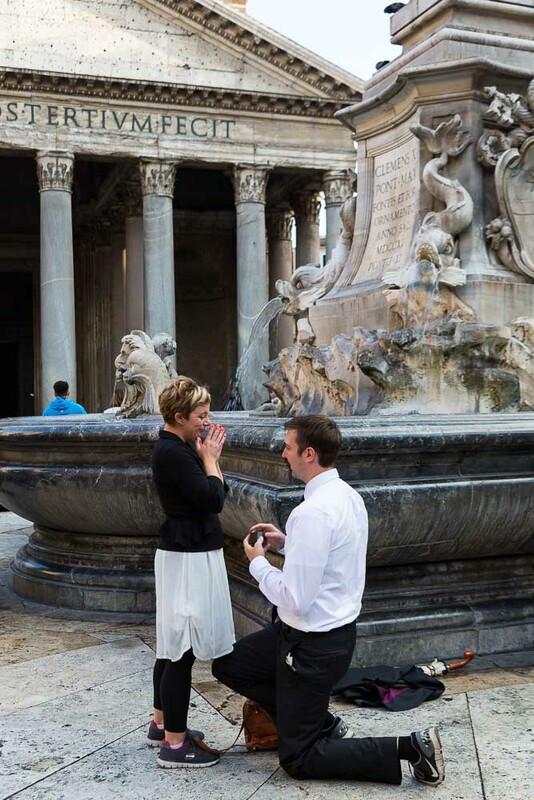 Engaged in Rome!